Gold stocks enable gold investors to diversify their gold portfolio by investing into actual gold mining companies opposed to buying physical gold coins and bars. Investing in gold stock market requires not only thorough knowledge of gold as a commodity but strong stock analytical skills that allow you read various financial reports and point out top gold mining companies that are worth looking into. Keeping up with gold mining community news is an added bonus enabling you to stay informed about major gold stock trends. The best gold stock investment advice is to understand that buying into precious metals stock market you are not investing into the actual spot price of gold but rather into production performance of a gold mining corporation. Look for companies that position their gold mining sites in politically stable areas, are focused on lowering their production costs and are constantly working on new sites exploration. In addition, it is very important that a gold mining company implements humane labor practices and works on reducing the number of mining sites accidents by providing safe work environment. Consider our gold stock investment advice and stick to well known gold mining companies like Barrick Gold (ABX), Newmont Mining (NEM) and Goldcorp Inc (GG)., just to name a few. Educate yourself on how to read stock performance charts and which entry and exit points are the best for a particular gold stock. 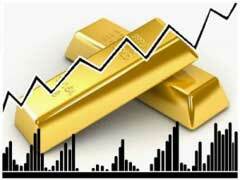 Set aside a portion of your portfolios for gold stock investment and try not to over leverage yourself. The last but not least gold stock investment advice is to entirely avoid gold penny stocks. Gold stock market is already a very volatile environment, do not additionally risk your investments to the performance of obscure unknown penny stock companies that can emerge and go under practically overnight. If you implement gold investing strategies that top gold investment companies use and view precious metals stocks as just an addition to your well diversified portfolio, you will be on the right track.